Furthermore, President Xi warned that resources for cooperation are not to be spent on “vanity projects” but on projects that count. In other words, development projects that African people could see and touch would be green and sustainable. This implies that China’s cooperation with Africa is clearly targeted at the major bottlenecks to development. China has learned in its four decades of reform and opening up that prosperity does not come through “vanity projects” but through visible projects such as infrastructure and can only come to those who embrace the world with open arms. Speaking of open arms, African countries now stand ready to seek synergies with China to build a road of high-quality development appropriate to their respective national conditions, which is inclusive and mutually beneficial. 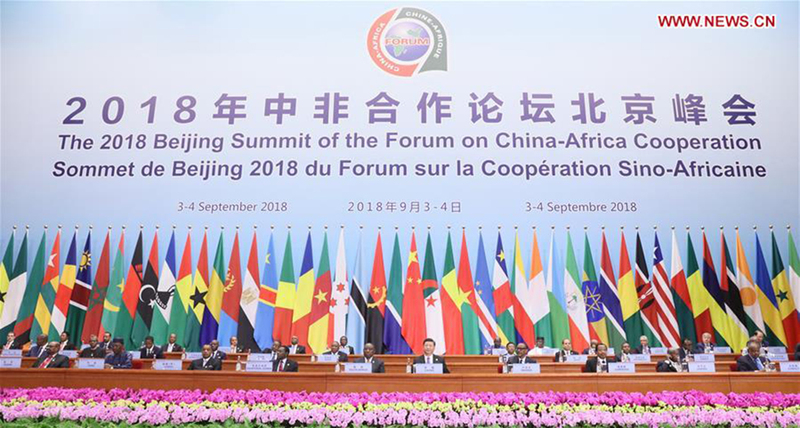 China and Africa share a similar dream for development, and China is willing to work with African people to build China-Africa cooperation as a role model for South-South cooperation. China’s cooperation with Africa aims to pursue economic development, reduce poverty and combat security threat with a continent frequently overlooked by the United States and other Western economies. Africa is still at the initial stage of industrialization, and the process is very likely to collapse without sustainable investment growth and infrastructure development. Chinese loans can help African countries improve their infrastructure, and drive strong growth in the region. The Belt and Road Initiative would help offer more resources and facilities for African infrastructure, which is expected to build closer China-Africa cooperation by promoting regional connectivity and expanding shared regional markets. President Xi also asserted that Chinese companies would be encouraged to invest no less than US$10 billion in Africa in the next three years. This presents an opportunity to raise per capita income on the continent as well as boost economic growth. Chinese investment in Africa is beneficial for both sides. In the first six months of 2017, China’s overseas direct investment (ODI) into the continent was US$1.6 billion, up 22 percent from a year earlier, and its imports from Africa jumped 46 percent to US$38.4 billion, according to data from China’s Ministry of Commerce. In 2016, employment generated from Chinese ODI projects in Africa hit an all-time high of 38,400, more than double the figure in 2015 and more than three times the figure generated by the second biggest investor, the United States, based on data from the global accounting firm Ernst & Young. The Chinese government is sharing its experience of speedy development and Chinese companies are bringing capital investment, management know-how and entrepreneurial energy to Africa, all of which are assisting African countries to propel their economic development.